We live in an electronic world. And electronics come with cords. And cords cause a headache. 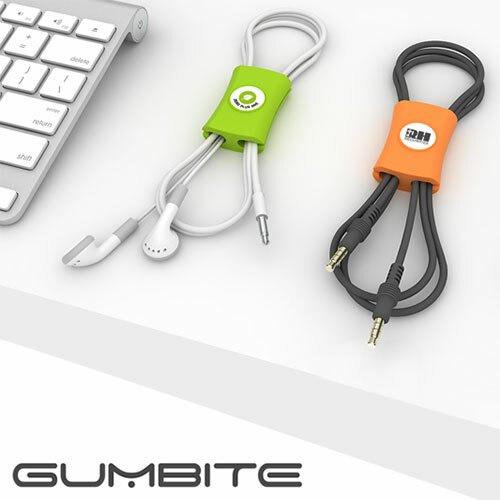 In order to attempt to alleviate this headache, I recently tested out the Gumbite Snappi Cable Organizer. This silicone cable organizer is designed to eliminate the hassle of tangled cables, and because it's compact, it can be used anywhere. I'm always carrying an iPhone USB cable and headphones, which are guaranteed to tangle in my purse while I'm on the go. I would recommend this product to anyone with this same tangled-cord induced frustration! In addition to its practicality, I loved the lime green color! I tend to keep things bright in my environment, so it worked perfectly with my other office supplies. It also comes in black, blue, red and white - options for any office theme! It is more flexible than I expected, and I found I could fit both my headphone cord as well as a USB cord into it. It really is the little things in life that make you happy! I used to dread having to de-tangle my headphones. Using the cable organizer relieved me from this headache. I even discovered that it attaches perfectly to the top of my laptop. I used one side opening to attach to laptop and the other side opening for one of my reminder note cards. It's portable, useful, and colorful. What more could your customers ask for? If you're interested in checking out this amazingly useful and fun product, contact your rep at Leaderpromos. Guest product reviewers received a gratis product sample from Leaderpromos in exchange for their review.